....And then I read further ... #SelfieExpert ( with Beautify 3.0 feature ) #OPPOF1. Well , this seems interesting. May be I should r.s.v.p.?. 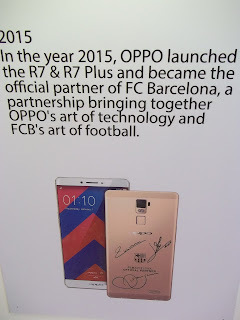 Being a true-blue journalist, I wanted to do R and D about #OPPOF1 , before writing it off so I googled OPPO ... Voila! 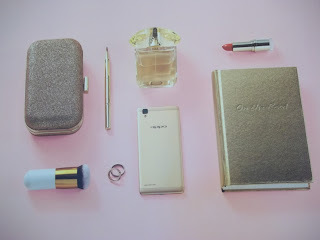 The chic Rose Gold colored #Bright & Beautful camera-mobile enticed me to go for it. 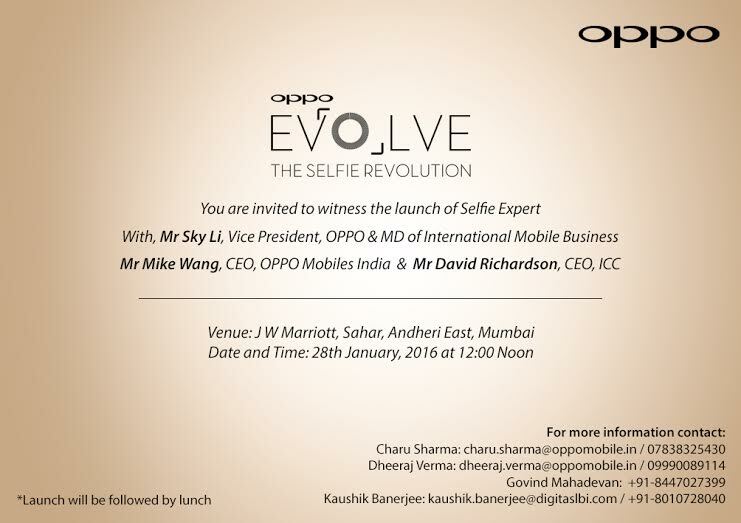 I fixed my glossy-date, January 28th, with #OPPOF1 at the JW Marriott-Sahar. The grand lobby of JW Marriott was abuzz with Media and Tech-savvy bloggers to witness the launch of #SelfieExpert #OPPOF1. The walls were adorned with great quality 'Bright & Beautiful' photos captured by #OPPOF1. The DIY-selfie-wall was choc-a-block with fashionistas sporting #OPPOF1 attached selfie-sticks. 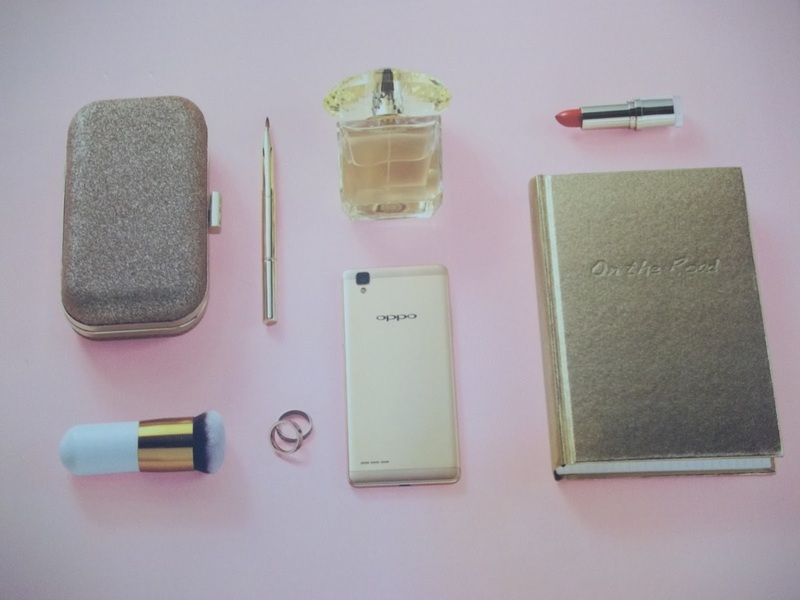 Please, don't believe me, just steal a glance at this luxurious Rose-Gold cutie #OPPOF1 with premium metal body. First impression of #OPPOF1 is sleek, glamorous fashion-accessory. Now, touch it leisurely. The Silky. satiny , velvety metallic finish of the #OPPOF1 will mesmerize you to buy it, to own that glorious fashion accessory. I know, now the Master-Techies must be wondering. Is it all about looks? color? and glamour?. What about the special features?, why should WE replace our present camera-mobiles with #OPPOF1?. Please hold on. You must be wondering, whether all these grand, premium specs will cost a BOMB?. The #OPPOF1 will be available with a silk metal back in Golden and Rose Gold colors at Rs.15,990 ($235), starting next week. The high spec variant of the #OPPOF1 , the F1 Plus, will be available in April for Rs. 26,990 ($400). #OPPOF1, the first product of the newly announced F series, was unveiled in the presence of David Richardson, Chief Executive, International Cricket Council (ICC) and Ace Photographer Rohan Shrestha on 28th January, 2016. The #SelfieExpert , #OPPOF1 features a standout 8 MP front-facing camera with a wide f/2.0 aperture lens and a 1/4-inch sensor, a sophisticated Pure Image 2.0+ photography platform offering OPPO’s Beautify 3.0 feature, OPPO’s patented Screen Flash to make snapping selfies in low-light conditions, and can shoot selfies using hand gestures and spoken commands, ensuring stunning selfies in all conditions. The #OPPOF1 also features a 13 MP rear camera with an ISOCELL sensor, the phase detection autofocus (PDAF) with a focus time of just 0.1s, and the anti-shake optimization feature which enables the camera to automatically select the clearest image from a huge buffer of image data the moment the shutter button is pressed. The #OPPOF1 is specially designed with powerful software and hardware to make capturing stunning selfies a breeze, with a Qualcomm Snapdragon 616 series Octa-core processor with 3GB RAM and 16GB ROM, all backed by OPPO’s spectacular build quality with a silk feeling metal panel. The #OPPOF1 comes in two colors of Golden and Rose Gold, and is 4G enabled at a price of Rs 15,990. The #OPPOF1 Plus, a high spec variant of the F1 with a 5.5” FHD Screen, a RAM as big as 4GB and even more sophisticated front camera photography performance, will be available in April at Rs 26,990. Have it and flaunt it, 'Bright & Beautiful, Selfie Expert OPPOF1' . 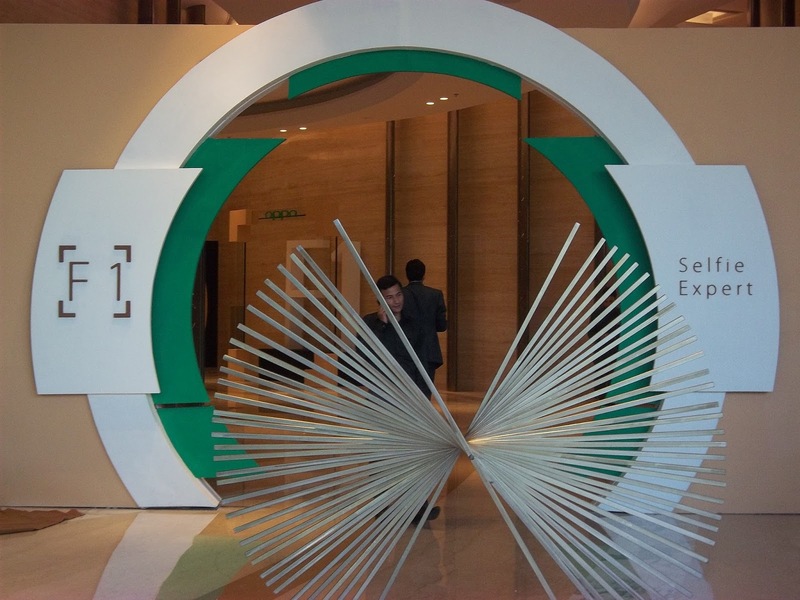 OPPO will further expand its offline channels and is targeting 35,000 sales outlets and 180 official service centers to achieve radical development in India in 2016. 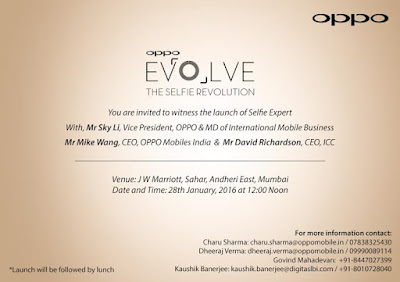 The OPPO brand has been registered in 140 countries and is operating in over 20 markets worldwide. In 2015, OPPO has sold around 50 million smart phones globally, up 67% year on year, with over 3,000 researchers involved in developing innovative technologies as well as high quality and iconic products. 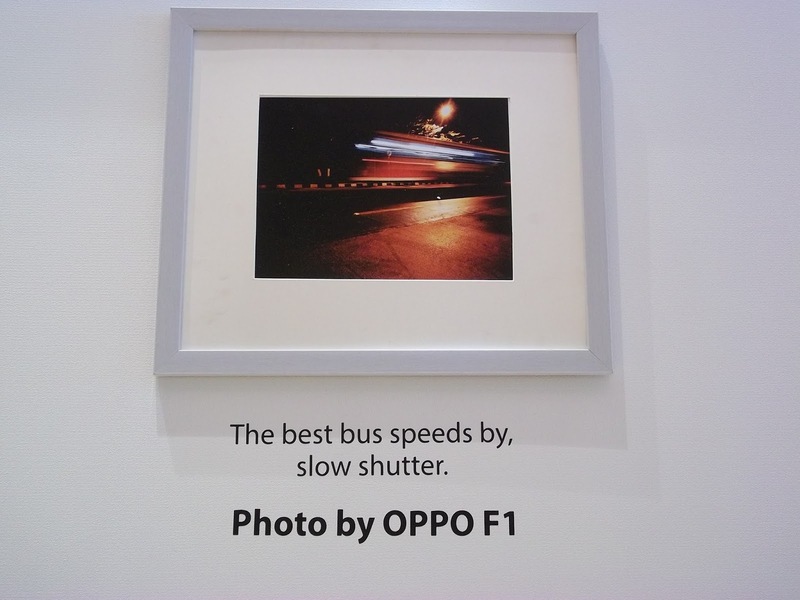 In 2008, when OPPO launched its first feature phone A103, it had the best photography performance in the segment. 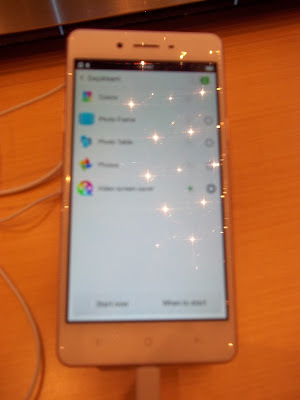 In 2012, OPPO integrated the first-ever beautify function into Ulike 2, followed by many brands later. 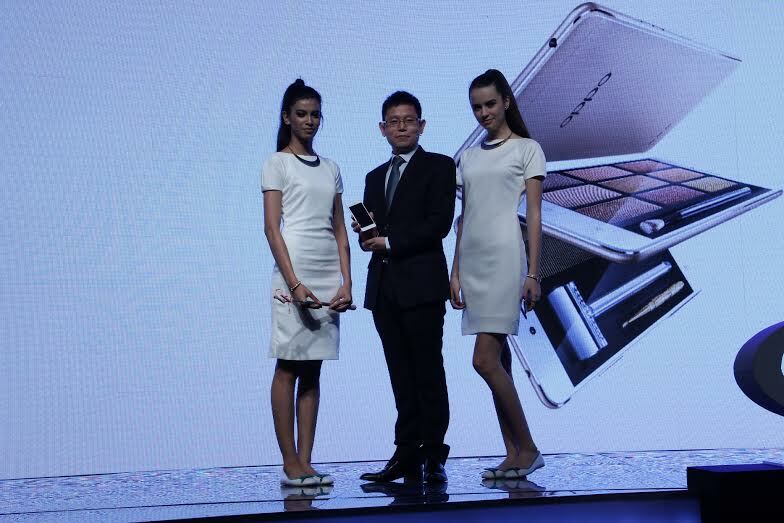 To capture amazing selfies, OPPO invented world’s first rotating camera on its N series, namely the N1 and the N3. OPPO also created the first Ultra HD feature capable of shooting 50MP photos in 2014, and later the first Screen Flash feature in early OPPO scores were almost doubled in terms of preference for camera functions compared to other global brands. 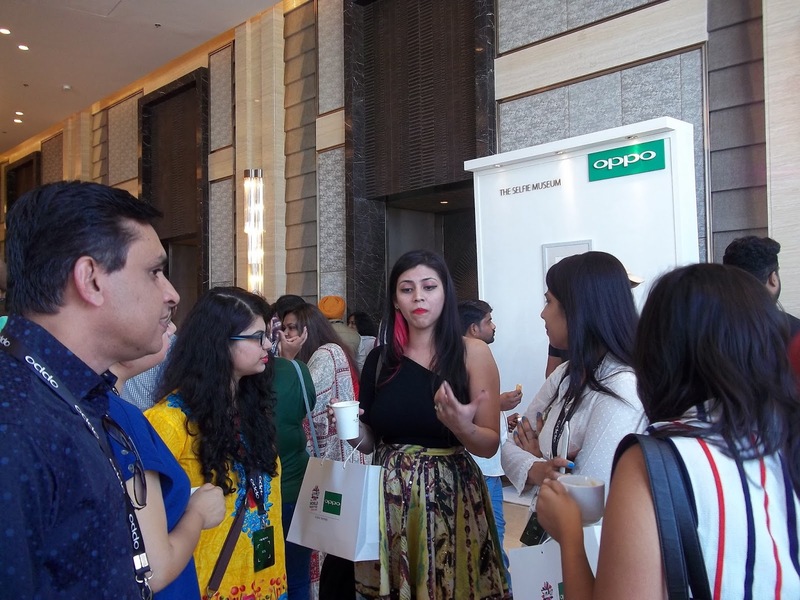 OPPO has renewed its brand association with Bollywood superstars Hrithik Roshan and Sonam Kapoor earlier this month to further accelerate its marketing campaign in South Asia Region. 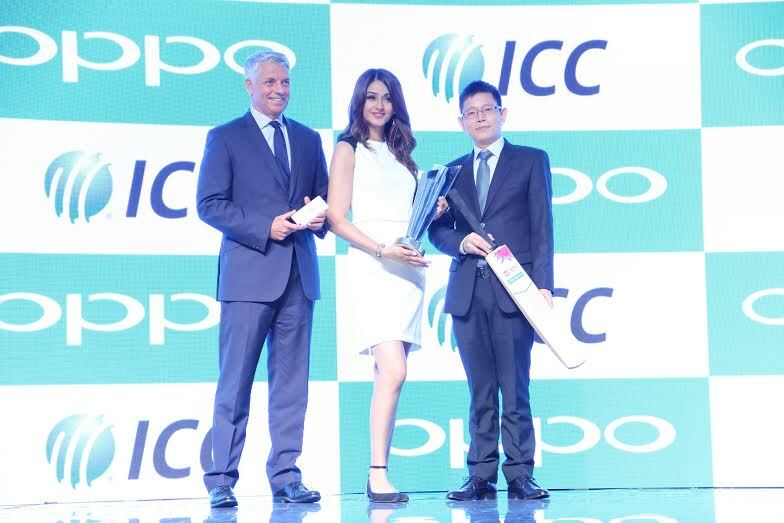 OPPO has entered into a 3-year partnership with FC Barcelona and recently announced its Official Global Partnership with International Cricket Council (ICC) for the mobile phone category for four years. David Richardson, Chief Executive of ICC, said, “Both cricket and OPPO connect people in an amazing way. I am delighted that the ICC is a part of the F1 launch. OPPO is known worldwide for innovation and we are looking forward to an exciting partnership in the years to come, an association that will, through ICC’s events, bring fans together from around the world, creating an unforgettable experience for all involved.” The company will also expand its offline sales outlets to 35,000 and target 180+ service centers across the country. Africa, Europe, Oceania, and Asia with pioneering products that never fail to inspire and excite. At OPPO they design, manufacture, and promote their own products, combining innovative technology with unique design, to ensure their customers always receive the best. 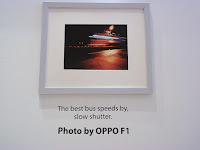 Founded in 2004, OPPO quickly proved itself in the market with its intense obsession to details. Each OPPO product encompasses a carefully selected array of attributes to specifically cater for users, combining impressive features with elegant designs. 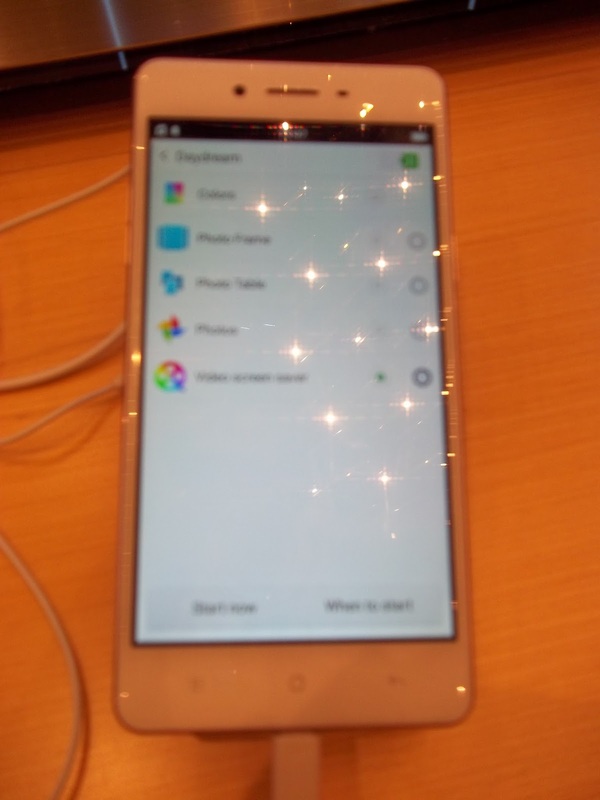 After entering the mobile phone market in 2008, OPPO quickly expanded into overseas markets a year later. OPPO camera phones are currently available in over 20 markets and offered for online purchase in over 50 additional countries, with the brand already registered in 140 countries as of late 2015. But OPPO doesn’t stop there. Using their passion for design and commitment to new technologies, OPPO has made a big impact in the audio-visual market by offering world-renowned, premium Blu-ray players in the United States and across Europe. Hi Arun , You must visit the #OPPOF1 showroom between 4 to 6 February to see this #SelfieExpert with your own eyes, to believe me. Thanks 4 d compliment. Hello Hari. Welcome to ' Spirit Of Mumbai ' Thanks. Nice review. I missed meeting you at the venue though Mridula told me that you two could meet. Hey Nisha, Welcome to ' Spirit Of Mumbai '. 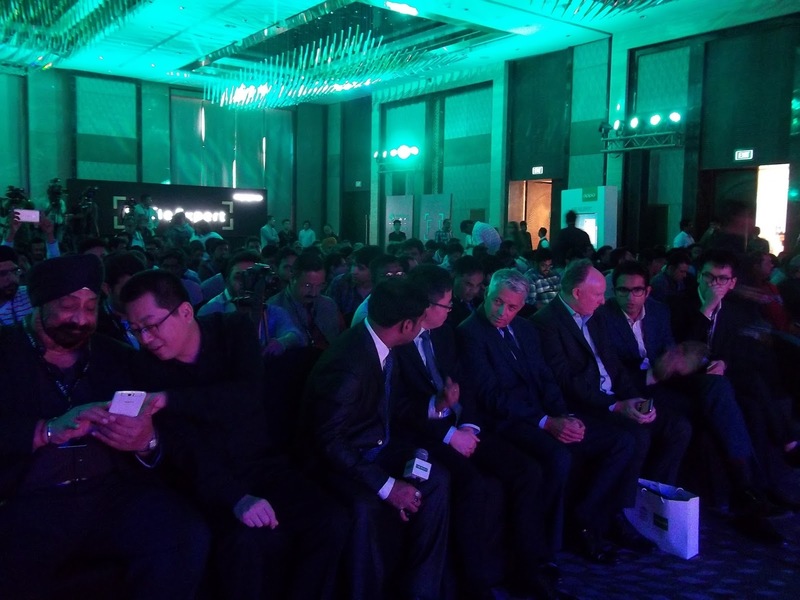 I didn't even know that you were at #OPPOF1 launch. See you soon. Hi Sims. Nice to know that you liked the review. The #SelfieExpert #OPPOF1 is even better than the review. 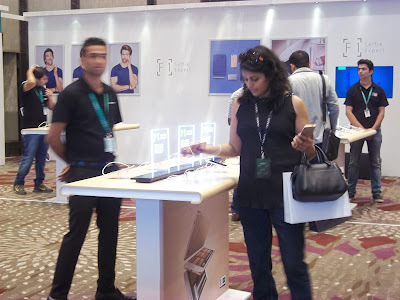 Hey Sujata, Superb post as always Mam, i felt as if i attended this event right now. Thanks Pratik. I always like to describe the events in great detail , as if I am conversing with a friend. Very intersimg blog Information and helpful for us.Thanks for posting it. Hi Pumeet , Welcome to 'Spirit Of Mumbai'. Thanks for your feedback.